After her son, Zachary, dies in her arms at birth, visual artist and author Alexis Marie Chute disappears into her "Year of Distraction." She cannot paint or write or tap into the heart of who she used to be, mourning not only for Zachary, but also for the future they might have had together. It is only when Chute learns she is pregnant again that she sets out to find healing and rediscover her identity--just in time, she hopes, to welcome her next child. In the forty weeks of her pregnancy, Chute grapples with her strained marriage, shaken faith, and medical diagnosis, with profound results. 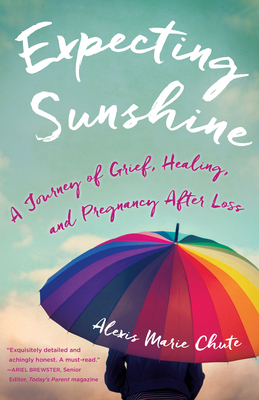 Glowing with riveting and gorgeous prose, Expecting Sunshine chronicles the anticipation and anxiety of expecting a baby while still grieving for the child that came before--enveloping readers with insightful observations on grief and healing, life and death, and the incredible power of a mother's love.